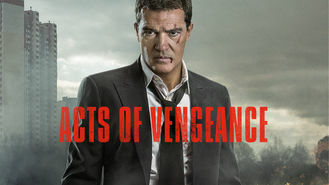 Acts of Vengeance (2017) on Netflix Costa Rica. Check worldwide Netflix availability! If Acts of Vengeance isn't available in your country, or you are visiting a country where it isn't, there is still a way to watch it! Devastated by the murder of his wife and child, a formerly fast-talking lawyer takes a vow of silence and trains himself for a mission of revenge. Obsessed with his career, he doesn't have much time for his family. Until they're brutally taken from him.